Ok I lied again. I couldn't help but post this fun little blog! Here's a little change up for you! Instead of recipes and gift ideas, how about a little teensie peek into mwah, Mrs. Christina Main? I know, I know, it's "just what you've always wanted." Well friend, you're welcome! *YEAH RIGHT! * Someone please, come slap me. Let's start it off nice and personal shall we? I am afraid of the dark. Yep. Pretty much. I blame it on too many scary movies as a teenager. My brain goes coo coo crazy as soon as it's pitch black and I end up scaring the crap out of myself almost every single time. Strangers with masks and knives can TOTALLY be right next to me with the flip of a switch, I swear it! I have never, ever, broken a bone in my body. I've come close- once...but it ended up only becoming what they called a "green stick break". Not a full on break. I've got some strong bones! Although I accepted Jesus Christ when I was 18, I only really consider myself a full believer as of 3 or so years ago. Let's not even talk about those ridiculous years before. Bleh. So thankful for Jesus. I am known for cracking up about the stupidest stuff SO HARD, that I will burst into uncontrollable sobs. I'm talking: snot-running-down-face, gasping-for-air, shaking, cries. My husband LOVES this. Although I specialize in pastry arts, I actually went to culinary school to learn about French (savory) cooking! Even weirder? Before that I was in college to become an English teacher! I have three tattoos. But tell me I need to go get a shot or blood work done and I'll cry like a baby. I am deathly (and I mean....deathly) afraid of going to the dentist. I once had a dentist stop working on me, prescribe me an anti-anxiety/downer prescription, and tell me to come back the next day. That next day happened to be my 23rd birthday. My husband proposed to me that night after that dentist appointment. Haha. Now friend, it's your turn! 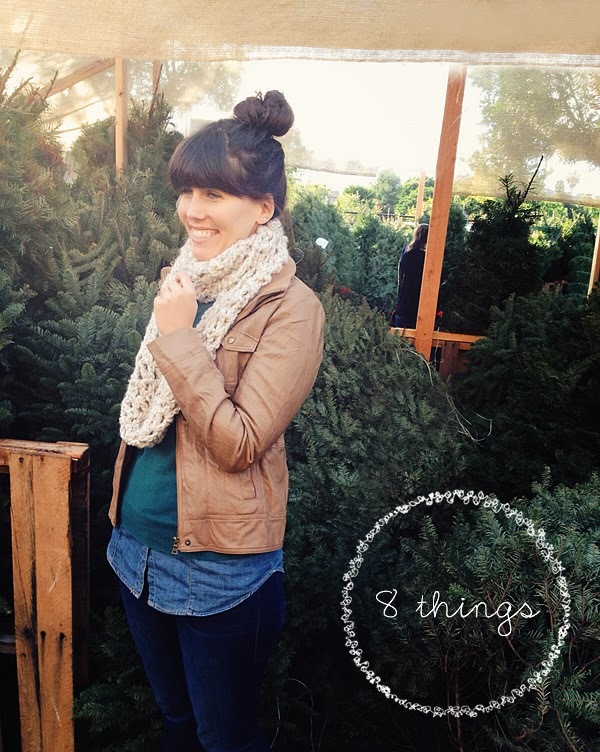 Please please tell me your 8 crazy things! Link them up in the comments below! And for game's sake- to keep it going and going and going and going.... I tag: Melissa, Sabrina, Melissa B, Shayla, Bill and anyone else who would like to play along! Thanks for baring with me. Are we still friends? We have so much in common its hilarious. I got invisalign a couple of years ago. I still have the buttons on my teeth because I am too scared to get them taken off. Not surprised that we have a lot in common! I'll post my 8 in the next few days! umm.. OOOOKAAAY. we're basically the same person. 1, 2, 3, 6 & 7 I could almost quote word for word. apart from the details about the dentist. Um... I MAYBE haven't been to the dentist in... 10ish years. eeeek! I get queezy anxiety stomach when I think about it. And now that I haven't been in so long I'm even MORE afraid to go. It's a terrible endless circle that will eventually end very very badly. oh. and 5. - i ALSO went to school for education (special education, specifically) and was considering pastry school until I became pregnant with Fern. Oh my word! That's just too funny!!!! Did we just become best friends? I think so ;) I loved this!!!! I can't wait to read your 8! Ah shucks. Love you Amanda! Alone....outside....in the dark??? Oh no no no no no! Hehehe. We had a wonderful Christmas! Hope your family did as well! Christina! Loved getting to "know" you better---someday, we must meet in person! Hope you two had a lovely Christmas! These are too funny! I'm right there with you... I'm deathly afraid of the dark and dentists! Just last night I came running inside, telling my guy I had spooked myself once again. As soon as the sun goes down, I am on edge LOL. I have been waiting and waiting to read this post! I basically almost completely checked out over the holiday and I have tons and tons of reading I want to catch up on! I'm afraid of the dark too! I'm nuts! It's the worst! Is as though my mind spins into crazy. Also, when I had to have my wisdom teeth out I went in for the consult and started crying when they told me about the possible complications... who does that. And then the day of my appt. I started crying in the car and didn't stop until they put my under. The nurses kept looking at me with a "what is wrong with this girl" look. Agggggg I am SO there with you! My wisdom teeth surgery was maybe the worst two weeks of my life (http://www.sweetlavenderbakeshoppe.com/2012/05/my-recovery-in-pictures-some-writing.html) I cried driving to the consultation, there, and home....and did the same thing to every single appointment thereafter. I mean...I was a mess. I just remember Bill in the doorway of the room (he couldn't come in for some reason) looking at me and whispering "You'll be ok" over and over again as I was crying like a baby. Then I was out.